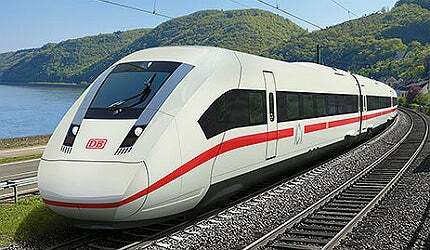 Siemens ICx is a next generation high-speed train designed for Deutsche Bahn, Germany. Image courtesy of Siemens press picture. Siemens ICx will replace Deutsche Bahn’s rolling stock on Intercity routes. Image courtesy of Siemens press picture. Artist’s impression of the driver’s cabin on the high-speed Siemens ICx. Image courtesy of Siemens press picture. The interior designs of the Siemens ICx is based on the empty tube principle, which provides larger passenger spaces. Image courtesy of Siemens press picture. Siemens ICx has an onboard restaurant, with 17 or 23 seats, and a bistro standing area. Image courtesy of Siemens press picture. Siemens ICx is a next generation high-speed train, designed for the German national railway company, Deutsche Bahn. It is a part of Deutsche Bahn’s (DB) programme to replace its current rolling stock on Intercity routes throughout the country. The existing fleet being used along these routes are approaching their expiry, despite being refurbished in the past. Siemens Mobility won the bid for designing and manufacturing the rolling stock, instead of Alstom. ICx rolling stock from Siemens will replace the EuroCity rolling stock first and then the Intercity-Express rolling stock (by the end of 2025). Siemens Mobility has subcontracted Bombardier Transportation for the project. The ICx concept was proposed in 2008 and was put forth in January 2010. A contract worth seven billion euros (approximately $9bn) was signed between Siemens and DB for the supply of 300 high speed ICx train sets. "ICx rolling stock from Siemens will replace the EuroCity rolling stock first and then the Intercity-Express rolling stock (by the end of 2025)." The modernisation of the rolling stock of Deutsche Bahn was considered as a high priority project, even under tough economic conditions. The main aim behind this major scheme is to provide passengers with modernised and high quality means of transport. The proposal was translated into action with Deutsche Bahn floating tenders for new rolling stock in 2010. Bids were received from Alstom and Siemens. Siemens was awarded a contract to supply 300 ICx units. The deliveries will be made in three phases, including 130 trains in the first phase by 2016, 90 in the second phase and 80 in the third phase. Deliveries are to be completed by 2030. The manufacturing of train sets, from their body shells to final assembly, will be completely done in Germany. This will provide many job opportunities for local people, including providing contracts to medium-sized supplier industries. For matching the quality criteria specified in the contract, two ICx train sets will be put into trail operations for 14 months, of which 12 months will be in passenger service before the production of the actual trail series begins. The first train is expected to be operational by 2016. The new train sets would replace the Intercity and EuroCity fleet of trains which have been operated respectively since 1971 and 1991. The ICx will later replace ICE 1 and ICE 2 rolling stock. The new rolling stock will provide 70% of Deutsche Bahn’s inter-urban transport revenue upon completion of the replacement programme. The ICx is being designed to be a flexible vehicle. Siemens framed a unique concept wherein the car can be moulded for individual requirements for different types of transportation tasks. The modular concept provides customised cars with similar traction technology, providing more flexibility. Functional availability is ensured by a large number of authentic systems with high redundancy. The design is based on the Power-Car concept. To accomplish high standards and flexibility, the traction system is merged underneath the identical power cars. The train is made to optimally be adjusted for specific transport tasks by manual variations in acceleration, speed and passenger capacity. The sets are feasible for splitting, so that they form two 400 metre train sets. The total number of first class and second class seats can also be modified as required. The train has a large amount of floor space, with the option to vary passenger areas to adapt for new necessities quickly and comfortably. "The new rolling stock will provide 70% of Deutsche Bahn’s inter-urban transport revenue upon completion of the replacement programme." The seats are assembled with C-rails that can be moved according to each passenger’s comfort, and are equipped with reservation indicators and electrical outlets. First class seats are provided with reading lamps too. The car provides an area for wheel chairs which is nearer to wheelchair lift, and a spacious universal rest room. It has an inbuilt galley. A passenger information system is installed in the train to provide passengers with regular information, both visually and audibly. GSM mobile connectivity and mobile internet access is also provided. The FLEXX Eco trailer bogies are designed to be lightweight and offer superior seat-to-weight ratio and eco friendliness. Despite high technical standards, the trains are energy efficient and user friendly. The ICx comes in two variation models. The first is a seven car multiple unit with three driven power cars. It has 499 seats and can reach a maximum speed of 230kmph. It will be used along the Intercity network. The second variant comes with ten multiple unit cars and has 724 seats. It offers a maximum speed of 249kmph. This version is expected to be substituted for the ICE 1 and ICE 2 fleet. The two variations will have an onboard restaurant with 17 or 23 seats and a bistro standing area. Additionally, they will have a family compartment and eight reserved spaces for bicycle storage slots. Bombardier Transport was awarded a subcontract worth $3bn to manufacture the rolling stock components. Bombardier will manufacture them at its factories in Hennigsdorf and Görlitz, located in Germany.